against total loss and mysterious disappearance starting at $2.5! Send us your container ID, equipment type and start date per email and we set you up within 24 hours! We work together with a renowned German insurance broker and work with +250 customers such as Kuehne + Nagel and SEACO on xChange. Send us your container numbers via email and get a the certificate within 24 hours. 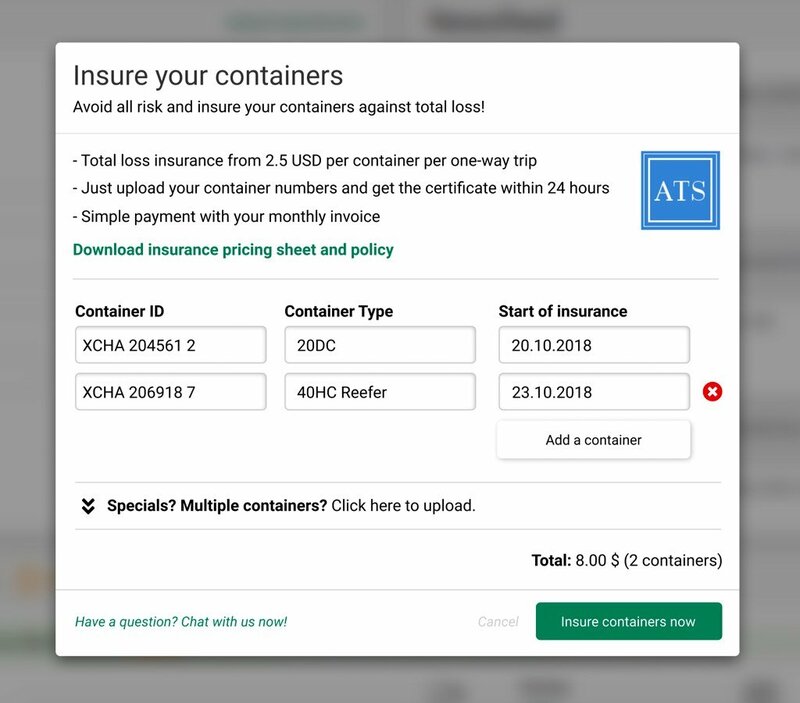 You can either only insure one container or send us a whole list of container numbers! 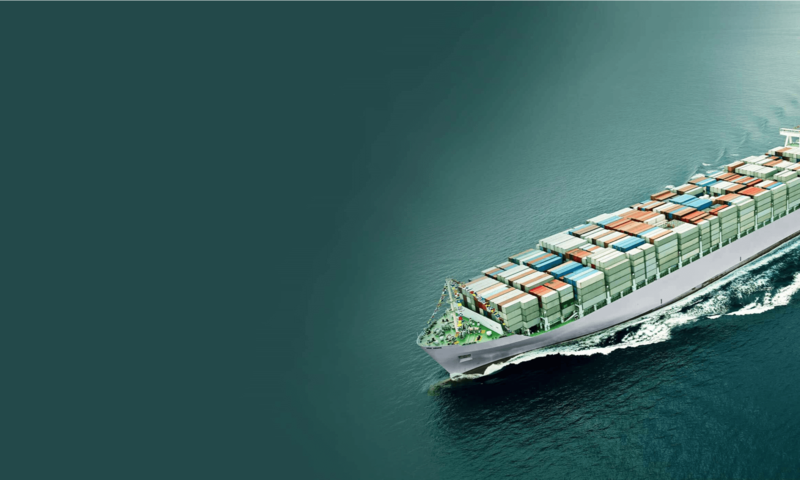 We insure every container type with a renowned German shipping insurance broker once we received your payment. The container insurance has global coverage for total loss, constructive total loss and mysterious disappearance. How can I trust xChange? Container xChange is the leading marketplace in container logistics and facilitates everything related to SOC containers for more than 300 members. How to claim your insurance? Claiming a total loss also happens by reaching out to service@container-xchange.com, a surveyor will then be tasked with assessing the damage and accepting the claim. For more details, please view the xChange Insurance Policy Scheme document. The insurance is valid for one-way moves up to 60 days after pick-up (per container). The insurance will be automatically renewed after 60 days unless the containers are reported as empty returned. For standard containers our insurance starts at $ 2.5 (DV 2,500.00 USD), for Reefers from $5.00 (12,000.00 USD) on and 40 HCs would cost $3.30 (3,300.00 USD) per container. See our rate sheet for more information! Anything could happen to your shipping container – for example could empty space result in your cargo shuffling or potential moisture damage. When damage or loss occurs, shippers and container owners might be in a financial dilemma. More than 1500 containers get lost at sea every year, better be prepared!